Photo: Meadow in Dry Creek Canyon. Eastern Mojave Vegetation Meadow in Dry Creek Canyon. 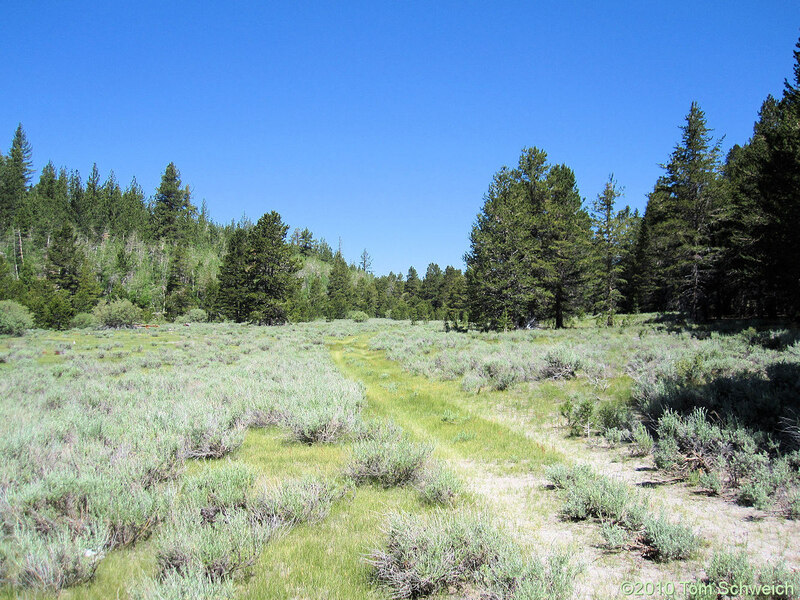 Forest Road 1S160B (Former 1S438), Mono County, California: s. end of mdw. A Checklist Flora of the Mono Lake Basin, Mono County, California and Mineral County, Nevada. : upper Dry Ck..
Other photos about Geography - Mono Lake Basin, California or Dry Creek.